Extra large room, with double and single bed. Shared kitchen, bathroom and toilet. Magnificent lake and garden view. NZ$220 per night for 1 person. 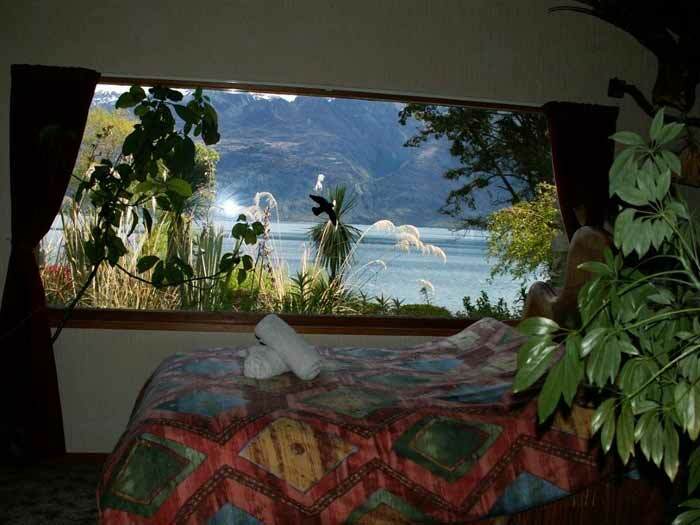 NZ$250 per night for 2 people. NZ$280 per night for 3 people.